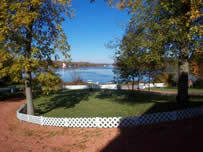 "Thank you for all your hard work and efforts The Sharon Male Real Estate Team put into buying my home on Rice Lake. I was satisfied that my sales representative understood my needs, researched the market and showed me properties that met those needs. The Sharon Male Real Estate Team did well at negotiating the price and the conditions required to purchase the property. Overall I am very satisfied with a job well done! I will definitely use The Sharon Male Real Estate Team again in the future. Thank you!!"